When she's little, Laura's father tells her the story of George Washington and the cherry tree. She strikes up a deal with him: if she doesn't lie, she doesn't have to cut her hair. Fast forward to sixth grade: Laura has long hair and a bold attitude. She finds a hat at a garage sale that says PIG CITY on it and starts wearing it to school. No one other than Laura and her two best friends are allowed to be part of the Pig City club. Soon enough, her classmate Gabriel starts up a club called Monkey Town. The classic boys-versus-girls scenario plays out in the schoolroom and the schoolyard. 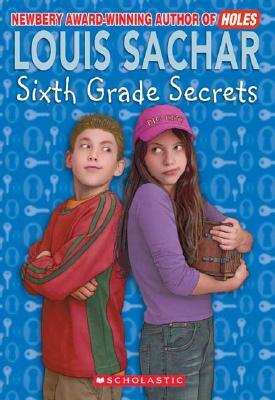 This is my favorite Louis Sachar novel, hands down. Kids in upper elementary school who can't wait to go to middle school will race through this book. Sixth Grade Secrets is both funny and realistic. It still holds up thirty years after publication. Highly recommended. 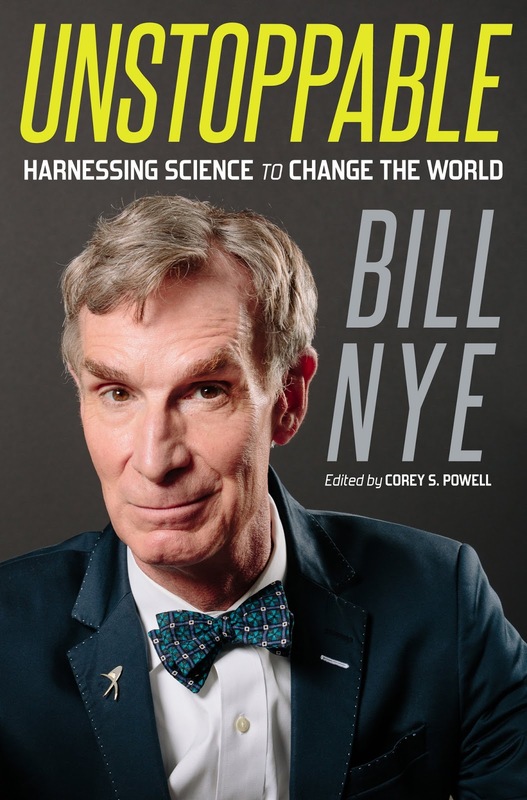 I have been a huge fan of Bill Nye for a really long time. He has always seemed like a very reasonable voice for good in the world and as I read this book, that held true. In Unstoppable, he talks about the history of energy, our current energy crisis, and a ton of possible ways individuals can make a difference in the world through his "try everything all at once" attack on global warming. The faith in humanity that Nye shows is astounding, calling on the young people of today to grow into the next "Greatest Generation" and tackle head on the problem of climate change. In order to achieve this he calls on nations to adjust their thinking and social structures to really focus on educating girls in the areas of science and technology because, as he points out, girls are half the population and why should we limit our problem solving minds to only one half of the population!? Nye discusses the friendly competition he has with his neighbor and fellow actor and activist Ed Begley Jr. showing that change can be fun. I found this to be very inspiring and motivating to do my own part. I may not agree with everything that he proposes, but I think that at least trying is better than the alternative - dying, as in our whole species. This is funny, thought provoking and timely. Truly a great book for dreamers and doers, even those only wanting to do in their very own small scale changes. It all helps. First person narratives are very powerful and more so first person narratives of harrowing experiences. We know there are conflicts going on all over the world but most of them hardly make the news cycle here in the United States. This site tracks some of them. Labels: Graphic Novel , History Matters , Real Lives , War - What Is It Good For? In the yawning dog days of Summer, last chance for those still on vacation for some lazy summer reading, and a perfect time for last-minute escape to those who might already be back to the school year grind. When you don't have time or energy or the concentration for a novel, nonfiction makes for a good choice. Mary Roach is the author of Stiff: The Curious Life of Cadavers, Packing for Mars: The Curious Science of Life in the Void, and the book I want to talk about, Grunt: The Curious Science of Humans at War. If there was one word to describe Mary Roach's approach to her subjects I'm going guess... curious? As you can surmise from the title Roach like to take her curious mind and delve into the more unusual scientific aspects of warfare and its side effects. 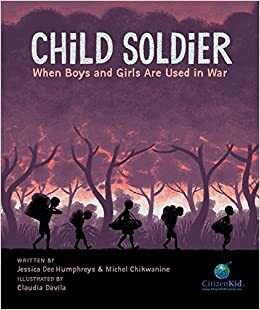 Told with occasional humor but always tactfully factual, boys will no doubt go into the chapter on genital transplants with a smirk and come out sobered about exactly the sort of "collateral damage" you don't learn in a first-person shooter game. Along the way are chapters on testing shark repellent, how one learns to drive around and over bombs, and the medical benefits of maggots on wounds. Not for everyone, but for that particular boy out there, this is a goldmine of great nonfiction. Labels: Pure Science , War - What Is It Good For? HARRY POTTER AND THE CURSED CHILD by J.K. Rowling et al. If you read all the way to the very end of the Harry Potter series -- and I know some people did not, because they chose to skip the "epilogue" -- then the last time you saw Harry, Ron, and Hermione, they were adults sending their kids off to Hogwarts. Harry was sending his middle child, Albus, off - a kid in the same class as Draco's only child. 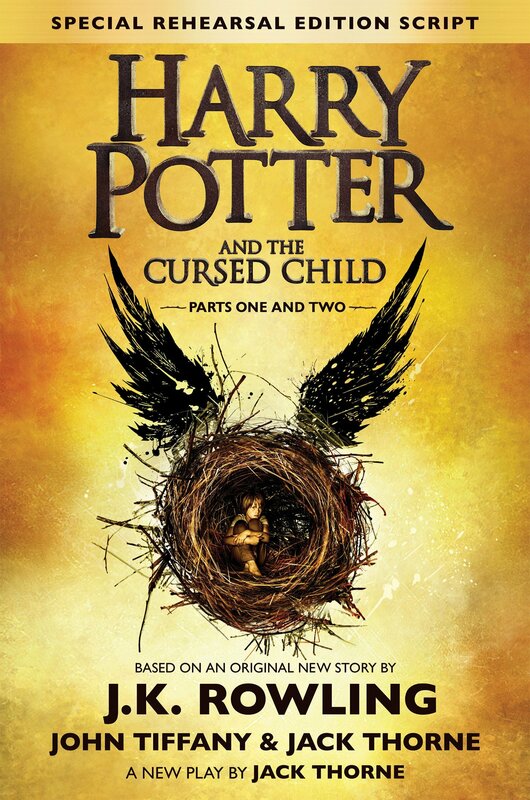 Harry Potter and the Cursed Child is a form of continuation, but it is not a fully-realized novel with the sumptuous setting and details we've come to expect in Harry Potter novels. Then again, it's important to remember that this is not a novel. It is instead the script of a play in two parts. Pity the poor show-goers who got tickets for only one night and cannot see the entire play. It came about because J.K. Rowling wrote a story, and John Tiffany and Jack Thorne turned it into a play. Which means there are slight set descriptions, stage directions, and dialogue. If you already know the world described in Hogwarts, including Hogwarts and the Ministry of Magic and more, then this shouldn't post a problem to you. You don't need the full description of Platform 9-3/4 or the Hogwarts Express or the witch with the cartful of sweets who walks its aisles, because you can already conjure all that for yourself based on your knowledge of the prior books and the bits of setting and stage directions in the pages of The Cursed Child. I'm not going to post any spoilers, which means I won't give you much in the way of details at all, except to say that Harry, Ron, Hermione, Ginny, Draco and other characters from the original series are actual grown-ups in this book, and their characters (19-22 years after Voldemort's death) logically relate to how they were when younger, but are not precisely the same, just as occurs with real people. This story is much more interested in the younger generation, and especially focuses on Albus Potter and Scorpius Malfoy who are, against most odds, the very best of friends. And on the adventure they undertake, which -- this being a Potter story -- turns out much different than they expected, and also manages to involve the parents in an adventure of their own: working together. If you are lucky enough to have tickets to see this in London, then I won't presume to tell you whether you should read this beforehand or not (though I will say that I know two people in that position, and both opted to read it, since they don't mind spoilers). Otherwise, it seems likely to be a LONG time before this play arrives in the United States or becomes a movie. So read it, by all means, just don't expect it to read like a standard novel. Because, after all, it is a play. And this play's the thing. “It was a story, of course. It’s all we’ve got” (281). As for werewolves, so for us all. When I talk to my students about fiction, we talk about how all stories are answering one big question: What does it mean to be human? And we talk about (using Thomas Foster’s How to Read Literature Like a Professor as our guide) how genre stories, particularly those involving “non” or “extra” human characters (aliens, mythological creatures, robots, zombies, and so on) help foreground this question. The best stories challenge the conventions of the genre, and mix the genres themselves. They are mongrels, if you will. Stephen Graham Jones’ incantatory novel Mongrels is a werewolf story. Hell, it’s practically an ethnography—such is the depth of detail Graham Jones provides in building the origin stories of not only our teenage narrator and his family, but of werewolves in general. For those of us whose knowledge of werewolves is largely limited to Team Jacob in Twilight, such stories are illuminating. I’d recommend Mongrels on the strength of those stories alone. But those stories alone cannot account for the power of this novel. For Mongrels is also a coming-of-age story, the story of our narrator growing up without a mother and father, relying on his Aunt Libby and Uncle Darren to fill those roles in his life. Relying on the stories of his grandfather, stories whose meanings change as our narrator grows up and understands more about his life and his family. The story of an isolated boy who yearns to turn, to join his aunt and uncle as full-fledged werewolves. To become, in his own way, a “real boy,” to become “one of us,” to echo some other stories of coming-of-age and fitting in. Unfolding in episodic fashion, Mongrels shows us a family using stories to make sense of their past and their future, and a present that is always in flux, shifting like the werewolves themselves, shifting location as the family must always move to escape the carnage they leave in their wake, intentionally or not. 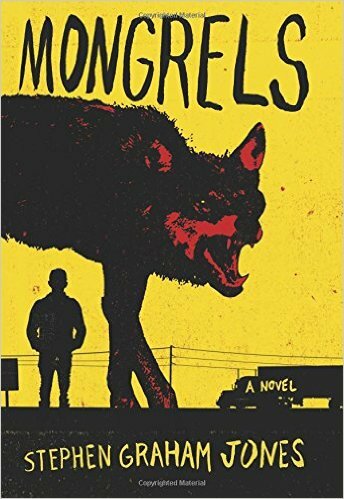 Filled with humor, horror, intrigue, and insight, Mongrels unwinds its secrets across the South and the Southwest, secrets both allegorical and historical. For it is a werewolf story, but Mongrels tells us ultimately about the sadness of growing up, and how growth is always loss, and the role family plays in all of this. You cannot shift and remain the same, after all. In the capable claws of Stephen Graham Jones, Mongrels is a story about us. Because stories are all we have. *Review copy courtesy of the author. THE ENEMY ABOVE takes readers into WW II as the Nazis attempt to clear the Jews out of Ukraine. Their plan is to access the rich farm land in the area to use in supplying the German army. Twelve year old Anton knows of the concentration camps and the mass execution of Jews, and he knows his father is off fighting with the Russians, but so far he and his grandmother and uncles have been safe. That is about to change. Major Von Duesen is leading a group of gestapo soldiers through the area to capture and remove the remaining Jews. A vicious man, he is determined to make a name for himself by delivering all his prisoners to the General in hopes of earning a promotion. Labels: Historical Fiction , Keeping You On the Edge of Your Seat , War - What Is It Good For?